Applications are welcome outside of the call for proposals, but please note that Gallery exhibitions are set for the 2018/2019 period. 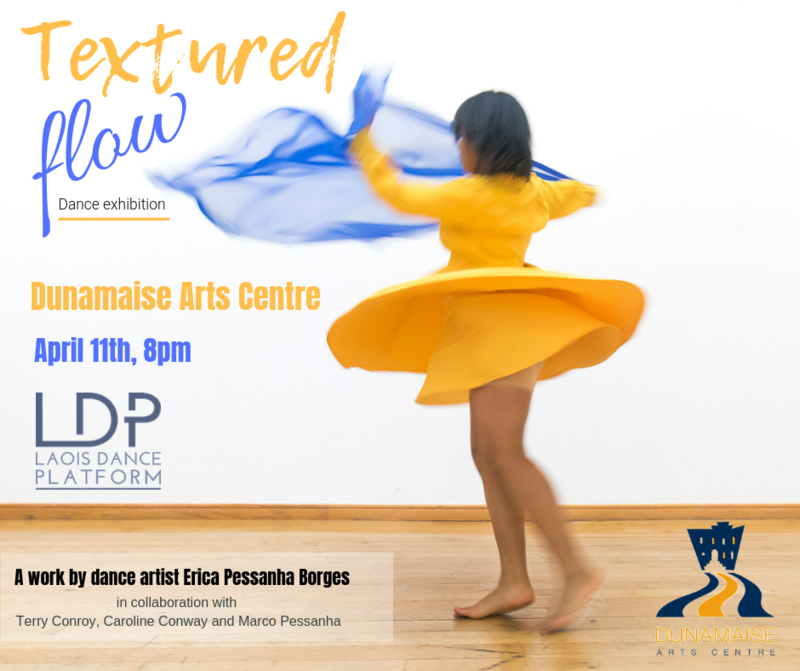 Applications invited from professional, full-time artists, emerging artists and amateur artists working in various media/disciplines to display work in the Gallery in the future or as part of the Caffe Latté monthly artist showcase. Please note that file size of more than 5MB will not be accepted by this email address. Digital applications via email are preferable. 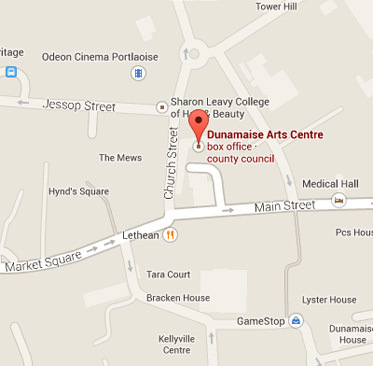 However, hard copies will also be accepted by post to: Visual Arts Programme, Dunamaise Arts Centre, Church St. Portlaoise, Co Laois. Please note we also have an Annual Open Submission Group Show where 1-2 pieces can be submitted for selection by a guest curator. This may be preferable for emerging artists building their portfolio and body of work towards future solo shows. (Separate application process). Annual Open Submission Group Show 2018 call for submissions will open during the Autumn Season. Details will be announced on this page. Less formal, month long presentations of a small number of works, suitable for a family audience and a cafe setting. Details here. This celebration of printmaking invites you to experience the best of contemporary printmaking from Ireland’s oldest print workshop. Each artist showcases their individual vision in a series of small exhibitions within the larger exhibition. Fine art printmaking techniques are highlighted, such as etching, lithography, photo etching and screen printing. ***Take Part! 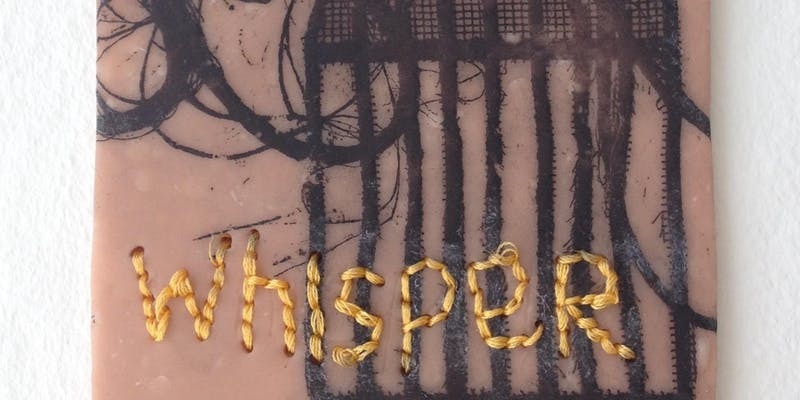 See Workshops for information on Printmaking Classes! Designed and curated by Brendon Deacy. Colonel James Fitzmaurice flew into aviation history by co-piloting the first aeroplane to successfully cross the Atlantic in a westerly direction. 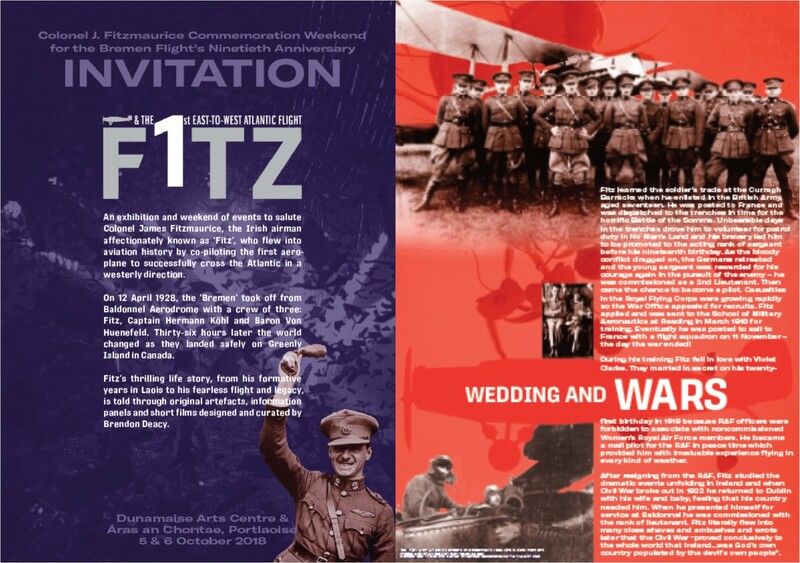 The story of Fitz, from his formative years in Laois to his fearless flight, is told through this fascinating exhibition of original artefacts, infographics and short films.